Taanya is a beautiful, intelligent and multi-faceted computer science student in Mumbai. As she is about to pass out of college, her parents begin to talk about her marriage. That's when she tells them that she likes a boy called Tej ... Read more..
-Yuks- 390 72597 27 June 2013 at 10:22pm, by .PerfectLove. **Saas Bina Sasural Help Desk** Ask your Q's here! -Yuks- 109 25342 24 June 2013 at 12:43am, by .PerfectLove. 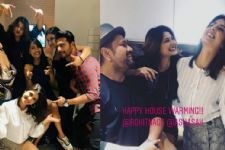 ~Saas Bina Sasural Picture Gallery~ No Comments! -Yuks- 277 117732 21 June 2013 at 3:38pm, by .PerfectLove. BilliCat. 26 18983 02 September 2012 at 10:26pm, by .PerfectLove. manasi_31 36 18088 11 May 2012 at 9:08pm, by .PerfectLove. Natasha_shaikh 41 11281 22 October 2012 at 8:30pm, by .PerfectLove. Tejy_Kumari 1 1211 15 September 2012 at 7:46am, by Rehan. Ameera. 0 1602 21 November 2013 at 2:56am, by Ameera. .Sunshine. 770 35254 17 November 2013 at 1:24am, by .Sunshine. vidhisalot 4 1772 23 June 2013 at 8:33pm, by .PerfectLove. 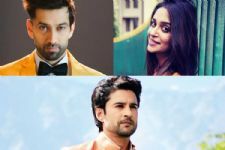 Nakuul Mehta, Dipika Kakar, Rajeev Khandelwal & Other TV actors who belong to army families! 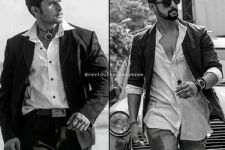 Ravi Dubey's Transformation Over 15 years is 'Har #throwback ka Papa '! Saas Bina Sasuraal TV Show forum is a very active community of Indian television viewers worldwide discussing Sony TV's Saas Bina Sasural TV Show. Our forum currently has over 2544 active discussion topics about the show. 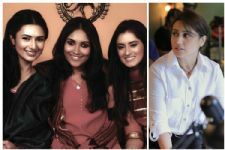 And you will also find all the latest Saas Bina Sasural videos, news, cast, synopsis, photo gallery, and much more only on India-Forums.com.